The Most Underutilized Pharma Marketing Audience? Caregivers. Many caregivers make all the financial and practical decisions for patients. It’s time for pharma marketers to understand how caregivers think. Healthcare marketing is in the midst of a direct-to-consumer revolution, with more emphasis put on speaking directly to patients instead or or in addition to providers. Trends suggest that, more than ever before, patients are the decision makers for their own care. However, this picture leaves out a crucial player in many health journeys: caregivers. Family members, friends, or professional caretakers coordinate care and make healthcare choices for many patients who are too young, too old, or otherwise unable to do so themselves. Pharma marketers miss out if they ignore this demographic, who come to the healthcare space with specific concerns and a surprising amount of decision-making power. Caregivers are a major yet often invisible force behind healthcare in the U.S. Every year, the total value of their uncompensated labor actually surpasses all Medicaid spending. An extensive 2015 study by the National Alliance for Caregiving (NAC) and the AARP Public Policy Institute revealed that some 43.5 million adults in the U.S. provide unpaid care to an adult or child, which comprises about 18.2% of the U.S. overall. Surveys show that around 85% of caregivers are helping a relative, 60% are women, and the average age is 49. These individuals span every age, race, and socioeconomic level, but the role typically entails providing direct at-home care and coordinating with health care providers. An example scenario could be a middle-aged person caring for an elderly patient with memory and mobility issues. Parents may manage their children’s chronic conditions or look after an adult child. A wife may take charge of her ailing husband’s health. No matter their exact role, caregivers face a unique array of pressures. They spend 20 hours a week providing care, on average, occasionally succumbing to frustration and burnout. This work can go on for a long time, too — the average caregiving duration is 4.9 years. The impact can be brutal: Fully 46% of caregivers experience emotional stress, and they are more likely to suffer their own direct health impacts. This unpaid sacrifice can pose financial risks, with 68% drawing on their own finances to support the patient. While six in 10 caregivers are employed, their nursing duties can impact their work performance and further compound stress. However, they care deeply about their charges and are looking out for the patient’s best interests. To a surprising extent, caregivers have a major influence on patient healthcare and make many of the practical and financial decisions. Studies suggest 91% of caregivers are “very” involved in treatment decisions. They may choose providers and medications, accompany patients on doctor’s visits, and make pharmacy trips. Caregivers may step in to make these choices because the patient is too young, too elderly, or too sick to make informed decisions about their care. In some cases, it can simply be because patients themselves are overwhelmed by a diagnosis in a doctor’s office, where time might not allow for a fuller conversation. Negative diagnosis can be especially disorienting, flooding patients with emotions or causing a mental block around the topic. In cases like this, it’s the person in the supportive role who has the ability to ask follow-up questions, play advocate, and do the necessary research. Generally, pharma marketers don’t give enough credit to the patient’s social influences, which can include family members, friends, and peers. But this gap is compounded when it comes to caregivers, who wield an even more direct influence over patient care, and therefore, can guide their choice of medical solutions. Pharma marketers shouldn’t overlook this demographic, but they should be aware of specific concerns when speaking to caregivers. Caregivers can be in very different life stages, with different hopes or expectations for their patients and themselves. They are invested in searching for healthcare solutions, although many might not have the time or training to pore over dense medical texts. They are trusted advocates for the vulnerable, but may themselves feel overwhelmed, looking for guidance. Despite this complexity, what caregivers do have in common are the most emotionally powerful elements of their experience — both love and sacrifice. It can indeed be emotionally hard, and even harder when the medical system doesn’t acknowledge their efforts, as happens all too often. Busy doctors and bureaucratic hospitals can simply leave them feeling devalued. This gives healthcare marketers a chance to help these individuals feel heard and understood. All caregivers want some kind of support, relief, or even condition-specific advice for dealing with their struggles. Brands can make it clear how their solutions could relieve some of that emotional and physical burden, with narratives that emphasize newfound relief. Search ads that target caregivers are far from a shot in the dark — in fact, Pew Research has shown that more than half of those who conduct online health research do so for other people. Indeed, surveys suggest that when caregivers first enter this role, around 89% search frequently for more information about the condition, drawing on health websites and medical literature. The same study suggests 79% of caregivers continue to look for medication options through the healthcare journey, even searching out clinical trials and drugs in development. This ongoing interest means that targeted ads can truly help caregivers find appropriate healthcare solutions. All this online research poses an opportunity for marketers, who in some cases will find it useful to use keywords that appeal to caregivers even more so than patients. For instance, with ADHD for young patients or Alzheimer's for elderly patients, caregivers could be even more avid researchers than the patients themselves. In some cases, relationship words like “mother,” “husband,” or “child,” may be part of a caregiver’s search. Phrases like “caring for” or “helping” may show up more frequently linked to certain conditions. Targeting parameters may change, as brands can link their products to any number of keyword-rich topics. For instance, many caregivers receive no formal training in nursing duties and instead seek out online instructions. 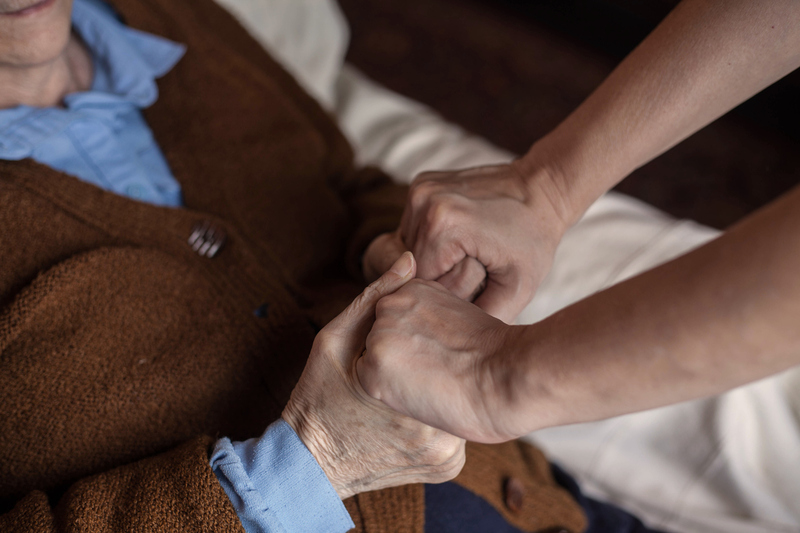 One study that focused on caregivers with elderly patients showed that caregivers sought out not just symptoms but emotional, financial, and practical caretaking advice. While patients may search primarily for symptoms and studies, caregiver keyword searches link a wider range of concerns to a specific condition, opening up new marketing opportunities. Many caregivers may also be receptive to “Your Loved One” social media ads, as this is already a place where they seek out support and advice from peers. Although you might assume that patients are the ones posting the most about their conditions on social media, that is only true in some cases. As the Visual.ly Health Digital Check-Up reveals, with conditions like cystic fibrosis and Alzheimer’s, caregiver posts are actually much more prevalent than patient posts. With other conditions, like breast cancer and cardiovascular disease, the caregiver to patient ratio is still quite high. As more and more caregiving resources come online, it’s the right time for pharma marketers to understand caregivers as a demographic. In many cases, these are the individuals searching for solutions and making decisions around healthcare. And yet, this area of marketing is still new — caregiver online behavior is not widely understood. That means there’s still room for innovation, as pharma marketers do their research, better understand the ins and outs of this population, and find exciting ways to offer medical solutions to people who need them.